About a year ago, Pentagon leaders tasked the military service cyber commands with creating planning cells within the various combatant commands. 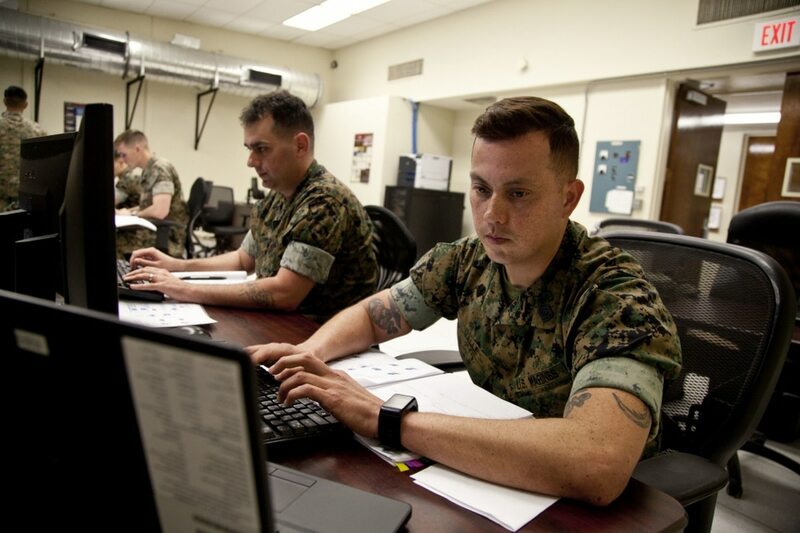 These cells, known as cyber operations-integrated planning elements, will include small staffs to help better coordinate offensive and defensive cyber operations. Defense Department cyber leaders say this arrangement is necessary because combatant commands don’t necessarily have cyber skill sets or planners at the staff level to help with campaign planning. They will only include planners, not operators. Cyber Command is standing up a cyber planning cell within U.S. Forces Korea aimed at integrating cyber operations with traditional military plans. The previous head of U.S. Cyber Command, Adm. Michael Rogers, said in congressional testimony in February 2018 that he hopes these planning elements will be at full operational capability in five years. The Marine Corps is nearly 80 percent complete in building these new planning cells. Joint Force Headquarters-Cyber Marines supports Special Operations Command. Speaking on a Nov. 1 panel at an event hosted by Fifth Domain, Gregg Kendrick, executive director of Marine Corps Forces Cyberspace Command, said what the special operations entities in Africa, Europe, Pacific and Middle East have asked for is to start to develop the appendices or plans within the cyberspace arena using MARFORCYBER’s capabilities. That way if any one of those plans needs to get enacted there’s already pre-built cyberspace operations capabilities integrated into that plan at the right time and tempo to be able to support it, Kendrick said. Kendrick said there is an operational planner and an intelligence analyst at each theater special operations command as well as a detachment at Fort Bragg, the location of Joint Special Operations Command, and at Special Operations Command, located at MacDill Air Force Base in Tampa, Florida. Rogers, prior to his retirement in May, told Congress that one of the highlights of his tenure has been cyber’s integration into other organizations. Kendrick said the establishment of the planning element has made a marked difference and improvement especially in education at the combatant commander as well as providing a direct cyber entity at the combatant command headquarters to touch. Kendrick said previously operational planning teams would be sent out to exercises and come back to their headquarters — Fort Meade in the case of MARFORCYBER — with months or years before being seen again at the combatant command headquarters. Now the combatant commands “know immediately who to go to and they’re seeing a responsiveness in quality of work that’s being provided as well as timely work,” he said. In the future, he said, combatant commanders, mid-level managers and action officers, while they may not understand cyber from a technical standpoint, will understand cyber’s importance to the multidomain fight. “They are asking for the planning expertise at the front of the planning cycle versus at the end. That’s what we’re seeing on a day to day basis and it’s just going to continue to grow,” Skinner said.